Did you know that you can order custom springs online at James Spring and Wire Company? We can provide quotations on an extensive assortment of compression springs, extension springs, torsion springs, wire forms, retaining rings, constant force springs, wire forms, strip forms, and metal stampings. There are many benefits of ordering springs online versus in person. Foremost is the time saved and the convenience, but it will also simplify the way your company orders products. Over-the-phone ordering is a time-consuming process and can lead to costly mistakes. By ordering your springs online you will know exactly what you’re getting and when and have more time to focus on expanding sales and meeting fulfillment requirements. 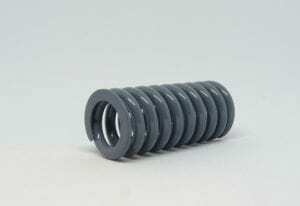 Considering ordering springs online? Here are 4 ways online ordering from James Spring and Wire will benefit your company. Numbers don’t lie: time is money. Billions of people around the world have turned to online ordering not only for the convenience but to save time and the associated costs. Ordering online from James Spring means a quicker turnaround time. This allows you, our client, to meet your fulfillment needs and production goals in a timely and cost-effective manner. That in turn, will help solidify your customer base. Keeping track of inventory can be a challenge for any company. An advantage and another convenience of online ordering is that it’s an easier method for inventory control. Online ordering updates your inventory automatically. Plus, human accounting and customer service errors are reduced through automation, taking a burden off of you and your team. Cut down on miscommunication and ordering errors. Online ordering also means easier navigation, greater product detail, and knowing what you have ordered, which leads to fewer misunderstandings and mistakes over time. Miscommunication and missed communication are one of the largest frustrations among businesses, customers, and employees. You can cut down substantially on miscommunications and missed calls through online ordering. Communication issues will be reduced to a minimum because online ordering will allow you to find and view products with detailed descriptions on your time before ordering. Even difficult to find products can be easily accessed. At James Spring and Wire Company, we have earned the reputation as the industry leader by serving our customers. Our manufacturing facility has modern high-speed machinery and a highly skilled, dedicated workforce that can produce custom springs to your specifications. We know that receiving that order in a timely manner is vital to every business. As a more efficient and convenient way to reach your fulfillment needs, online ordering is a sure way to benefit you and your customers. Need to order custom springs manufactured specifically for your company or project? Request a quote online today!